For me, city breaks with kids are an explosion of the senses. All the sights, sounds and in-your-face experiences crammed into a closer than close space can be overwhelming. Especially when you’re trying to keep track of little people and discourage them from touching whatever ‘that brown goo’ is. Yep, cities bring out the helicopter mum in me! But they also offer an incredible cultural and learning experience. Plus, there’s always somewhere a bit more open and leafy not far away, should you need to escape the bustle. We’ve got experience of several UK city breaks with kids now, so I wanted to share some of our favourite destinations, things to do, and places to stay. 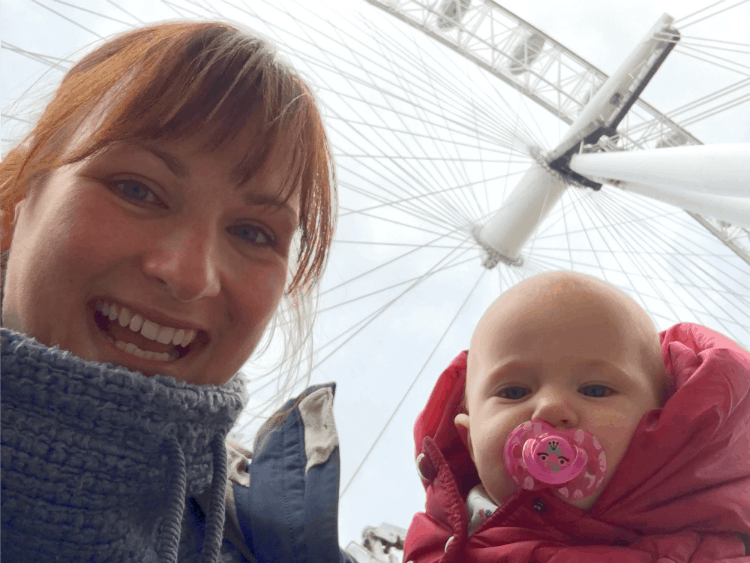 You can also read our top tips for surviving city breaks with toddlers, as well as our top family travel tips. I’d love to hear your recommendations on child-friendly city breaks in the UK. Where have you been that was ultra family-friendly or made for the perfect city escape with children? Leave me a comment below. If you are history fans then we can also recommend a stay in Salisbury in Wiltshire. In the city, there’s a lot to see around Salisbury Cathedral or if you’d like a cinema experience with a difference check out the Odeon, which is housed in a Tudor merchant’s house. Stonehenge, its neighbour circle at Avebury and Cholderton Charlies rare breeds farm are not far outside the city. As well as characterful hotels in Salisbury city centre*, you can find reasonability priced family camping and glamping close to Salisbury. Salisbury also makes an easy day trip from London or you could use it as a stop off on a road trip across the Great West Way. Where to stay in Salisbury with kids: we stayed in a glamping hut at Stonehenge campsite. The capital of Hampshire and once the seat of King Alfred the Great, Winchester is a favourite city of ours. It’s small but beautiful with a stunning Cathedral, a high street dotted with half timbered buildings and its very own castle – or what remains of it. Explore the Great Hall, get hands-on with history at Winchester City Museum and buy some incredible local produce at the regular farmers’ markets. Outside the city centre, a great family attraction is Winchester Science Centre & Planetarium. There’s a full day out of interactive science experiments and fun for kids and adults alike. Or if your kids like animals, take them to Marwell Zoo. Another lovely place to visit is Hinton Ampner – a National Trust house and gardens not far from the city. 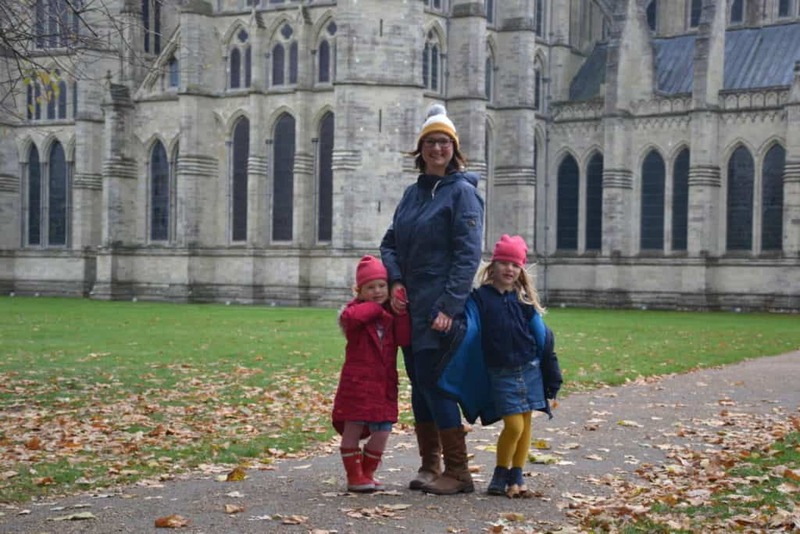 Here’s more reasons to visit Winchester with kids. Winchester is also just over an hour from London by train from Waterloo, making it super easy to combine with a trip to the capital. Here’s some more ideas for places within easy reach of London. Where to stay in Winchester with kids: Marwell Hotel* is outside the city centre but in the perfect position for walking over to the zoo. Bristol is a gem of the South West with plenty of maritime and industrial heritage to keep young people busy during a family city break. We love visiting SS Great Britain and really rate the free M Shed Museum, which tells the story of the city, its industry and people. Bristol Aquarium is located in the city centre as are We The Curious and Bristol Museum. A bit further away there’s Bristol Zoo and the Clifton Observatory – just hop on a bus and you’re there in less than 20 minutes. Outside of the city there’s also The Wild Place Project which is a cross between a safari park and zoo farm, also run by Bristol Zoo. 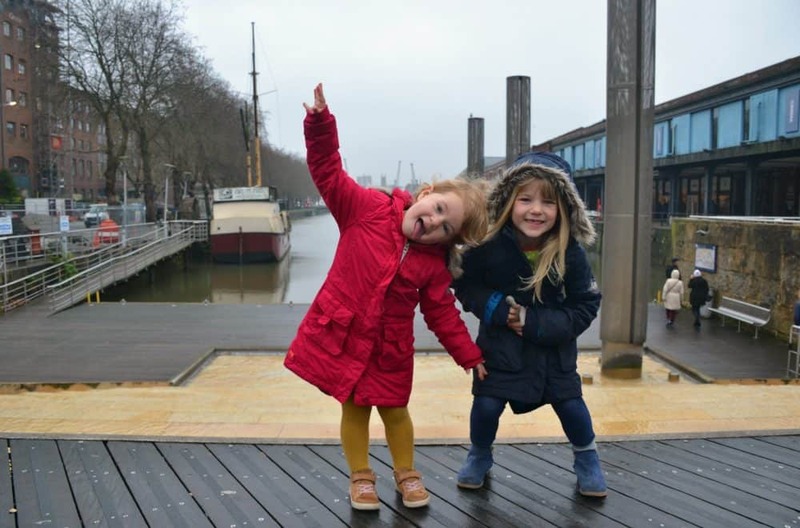 Where to stay in Bristol with kids: we can recommend a stay at the SACO Broad Quay serviced apartments in Bristol City Centre. Bath is a playground for history lovers. You must visit The Roman Baths and a bus tour of the city is a great way to understand its geography and heritage. Other things you must do are visit the beautiful 18th Century Royal Crescent, Sally Lunn’s Museum and Bath Postal Museum. A roof top tour of Bath Abbey will also give families with older children spectacular views of the city. A few minutes down the road there’s Avon Valley Adventure & Wildlife Park, and further afield there’s the Fleet Air Arm Museum, Avon Valley Railway, Wookey Hole and Cheddar Gorge, which are all popular with families. Where to stay in Bath with kids: we can recommend a stay at Bath Mill Lodge Retreat, which is a luxury lodge resort just outside the city. Swansea is a city by the sea with plenty of history, family activities and attractions within easy reach of the Gower Peninsular should you want to escape to the country. 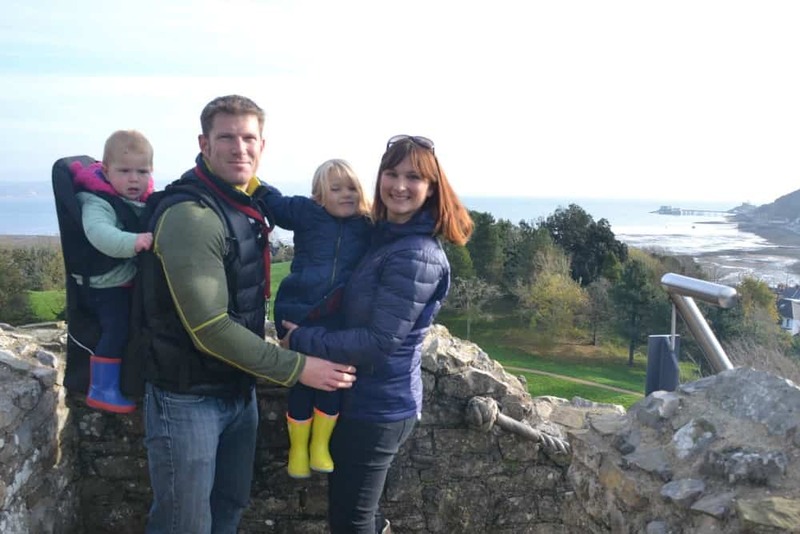 Read about some of the things we got up to during our last visit to Wales and our weekend in and around Mumbles, just outside the city. Where to stay in Swansea with kids: we can recommend checking out this luxurious dog-friendly cottage in Mumbles. Visit the UK’s most southerly city for independent shops and boutiques, and plenty of local history. The gothic style Cathedral has three spires that make their mark on the city’s skyline. As well as being an impressive piece of architecture, it is also a venue for arts events. Also in Truro, The Royal Cornwall Museum is the only museum in the county to host a British Museum supported permanent exhibition of Ancient Greek, Roman and Egyptian history. 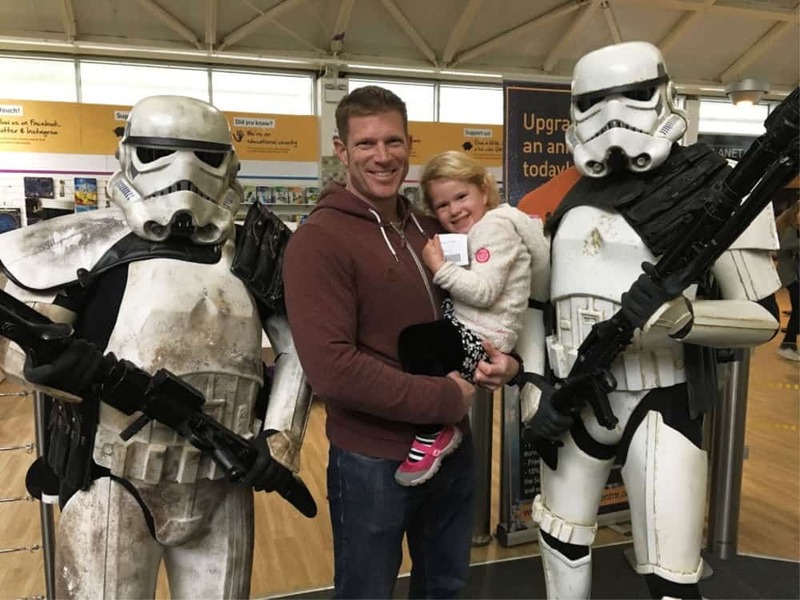 If you’re looking for more things to do around Truro we found plenty to entertain the kids during our recent holiday there, plus Cornwall is an excellent place for a UK family holiday. Where to stay in Truro with kids: we stayed 10 minutes from the city centre in a luxury cottage at the The Valley. Of course, no guide to UK city breaks with kids would be complete without mentioning London. We visited London with the girls when they were 11-months-old and three-years-old. I won’t lie, it had its more traumatic moments, but we were pretty new to the whole experience of family city breaks at that time. We learnt a lot of lessons! 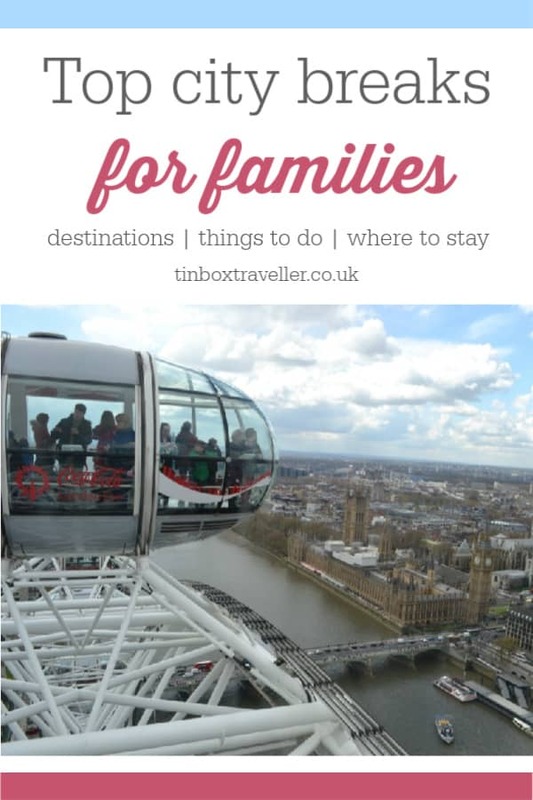 If you’re up for the challenge, I can recommend a some easy ways to see the best views of London; taking advantage of free West End theatre tickets for families in the summer; and exploring the sights of the South Bank for free. If you’d prefer to start with a UK town we can recommend Halifax and Hebden Bridge in Yorkshire as places to find plenty of culture, Torquay in Devon as a traditional seaside destination, and Dartmouth in Devon as somewhere to visit for maritime events and heritage. You can also find more family holiday inspiration in my full guide to family travel. What city breaks in the UK can you recommend? I’d love to hear. Disclosure: this post contains affiliate links. This means if you make a booking or purchase I may earn some commission. This does not affect the price you pay. Planning an urban getaway with your family? 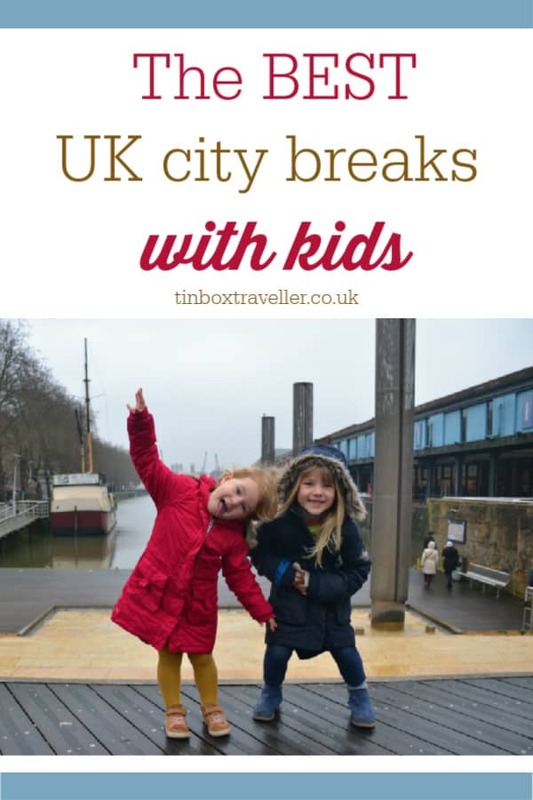 Pin this post about city breaks with kids in the UK for future reference. 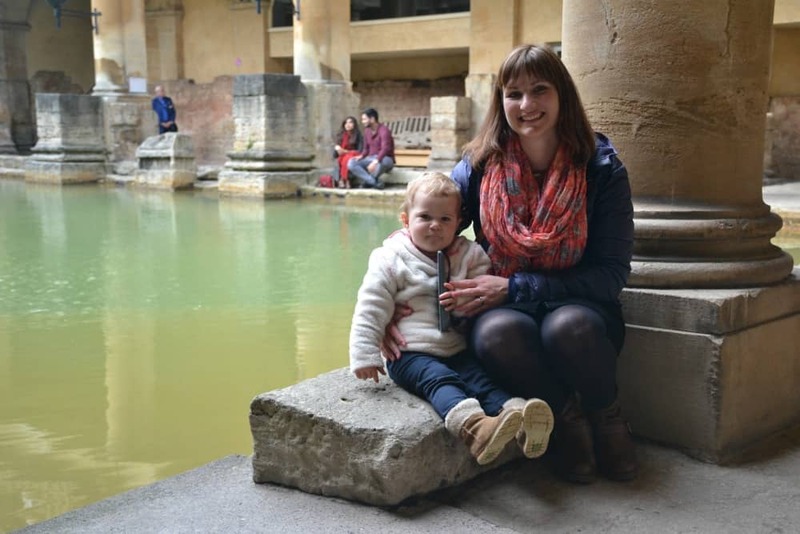 We’re off to Bath again in May – can’t wait to explore more!